I asked my Facebook friends for a place near Ateneo that’s conducive for usapang masinsinan and that has good food especially desserts. Xocolat was the most mentioned choice. It was also my first time to see the enthralling-awesome-youthful Fr. Jboy Gonzales! I met him in Twitter around 3 years ago, and I’m thankful that he got to spend some time with me before he went to Davao for his new thrilling and consequential assignment . We had pasta, cakes and chocolate drinks– stuff that you cannot not have when you are in Xocolat. We had Hot Xocolat, Aztec Xocolat (with chili! ), Tablea Xocolat, Pineapple Mango Basil Mansi, Lemon Bangus Pasta, (cannot remember the pasta Fads had, I think it was Hungarian Sausage pasta), carrot cake, lemon cake, and matcha cheesecake! Everything was good, but I’d go back for the lemon cake and the hot chocolate made with tablea and with chili! 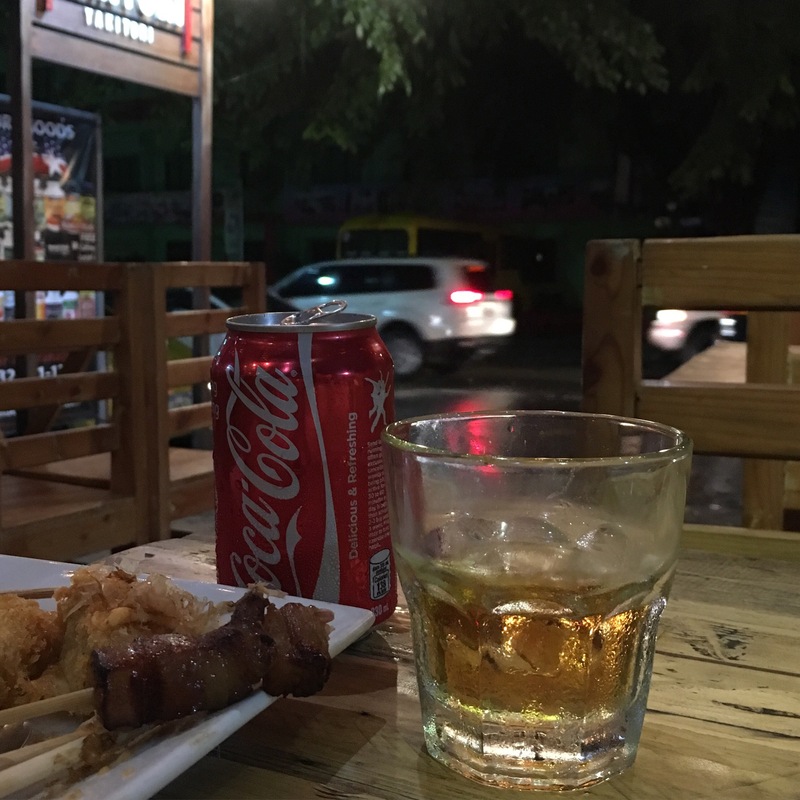 They do not only use chocolate in their beverages and pastries, but in their mains as well- like the Chicken ala Xocolat which is like chicken a la kiev with white chocolate and the Xocolat Pork Belly which is served with cacao-bagoong sauce. I only appreciate the rain if I don’t have to leave my beloved bed or if there’s food that can combat the cold. 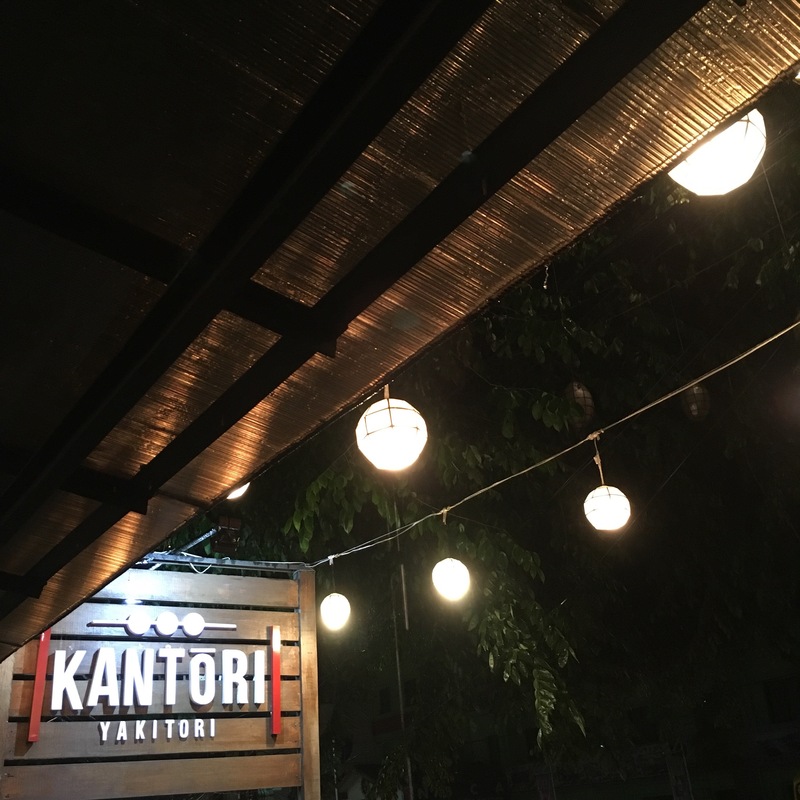 A big bowl of goto from this spot in La Paz, Makati surely satisfies. 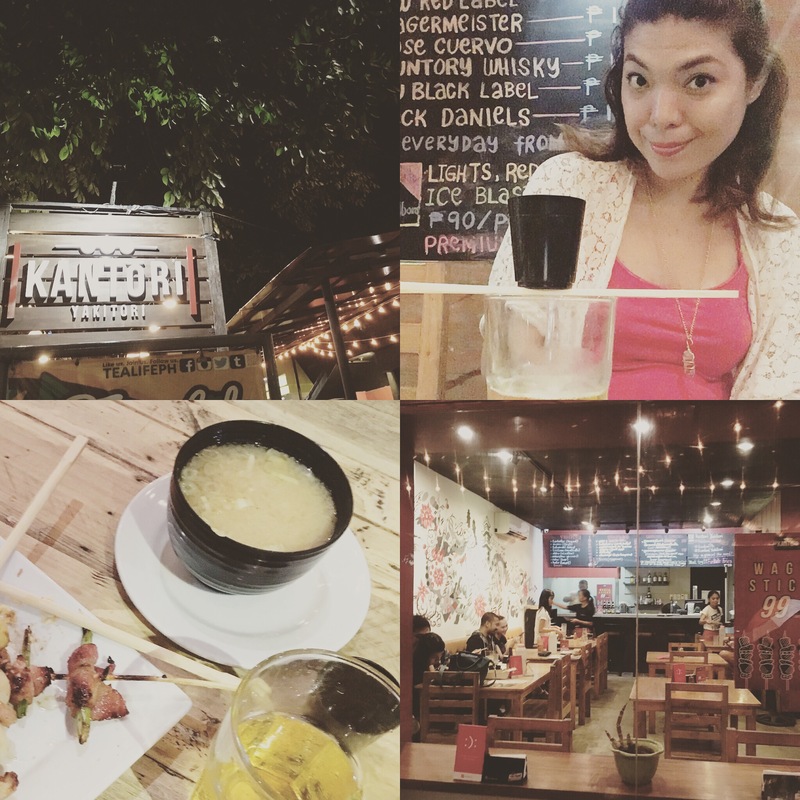 It’s been our go-to goto place (see what I did there? nyehehe) since 2014, rainy season or not. 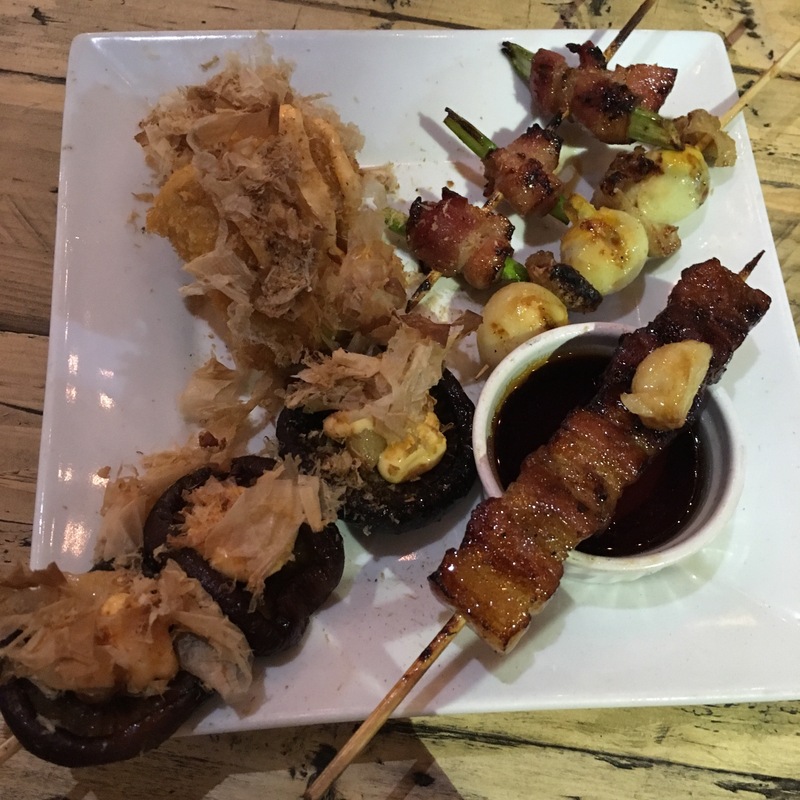 Needless to mention, the star of the menu is their goto- with its perfect consistency, superb taste and texture and yummy toppings. They now use turmeric, instead of kasubha, for coloring and flavoring. Just in case you don’t know, turmeric is luyang dilaw in Tagalog… the queen of spices in the spice kingdom… and has the scientific name of curcuma longa. :p It has anti-inflammatory and anti-depressant properties. Taray di’ba? 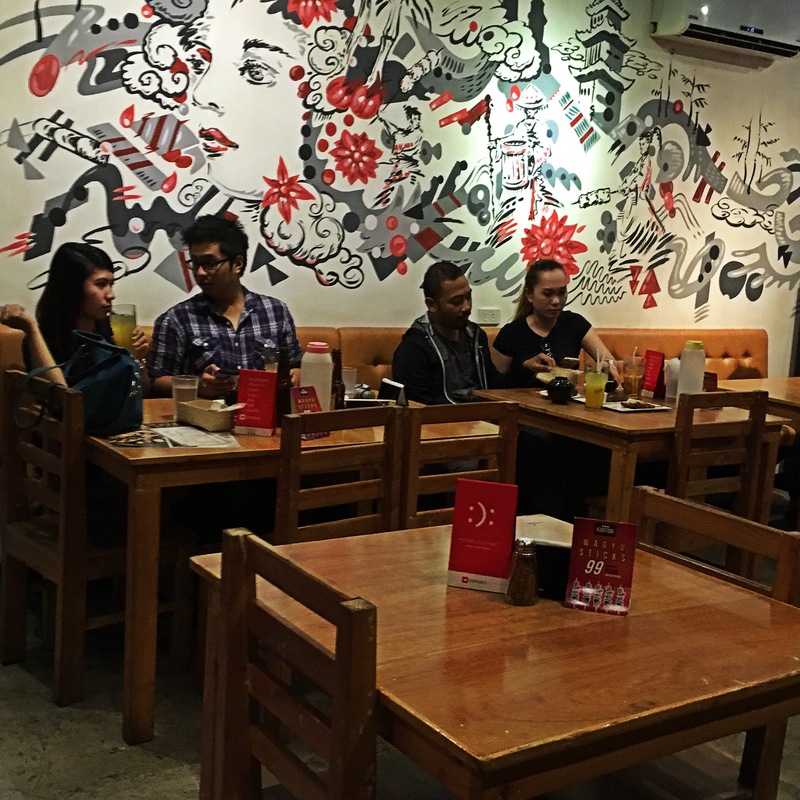 The other dishes worth having in Goto Monster are their tokwa with shiitake, bagnet or eggplants and their fresh springrolls that come with peanut sauce, chimichurri and chili. Their chicken adobo has got to be the best tasting adobo, even better than my Mama’s (and she already makes a mean adobo!) I wonder how they made the chicken that tender. Plus who knew chicken adobo goes well with mustasa salad? Don’t forget to drizzle some bagoong! Their sisig is very spicy, so if you have low tolerance for spiciness, huwag niyo akong gayahin na kain lang nang kain, I didn’t realize I got to eat lots of chopped chili until it was too late! Buti na lang I had a refreshing and strong glass of Mojito (made with real lambanog… malakas ito, pwede kang ipaglaban.) to the rescue that time! It was my first time to try their ice cream pops some weeks ago. I had ginataang halohalo (check photo above) and leche flan (photo below). Both are so worth it for 50pesos a pop. Ang tindi nung leche flan, Napa-leche ako sa sarap. Kaya ko umubos ng lima sa isang upuan! But of course I won’t kasi I have to make way pa for their waffles! Their Champorado Waffles is a treat for those who like the sweet and salty combo. Champorado waffles (they use rice flour) topped with vanilla icea cream, drizzled with chocolate and sprinkled with pinipig and crispy dilis. Definitely a delightful and delicious take on this popular Pinoy dish. Hindi ko akalain na mapapakain ako ng ice cream na tinaktakan ng dilis! Here’s my first love… Hindi si Donnie! ‘Yung Bibingka Waffles! I brought my besty a few days before his birthday to Goto Monster, hence the candle on the (rice)cake. I believe his wish was dalhin ko siya uli siya doon at isali ko siya sa Goto Monster Challenge! Bwahahaha! Waffles are just pancakes with abs. And The Wicked Waffle has over 30 kinds of waffle creations. 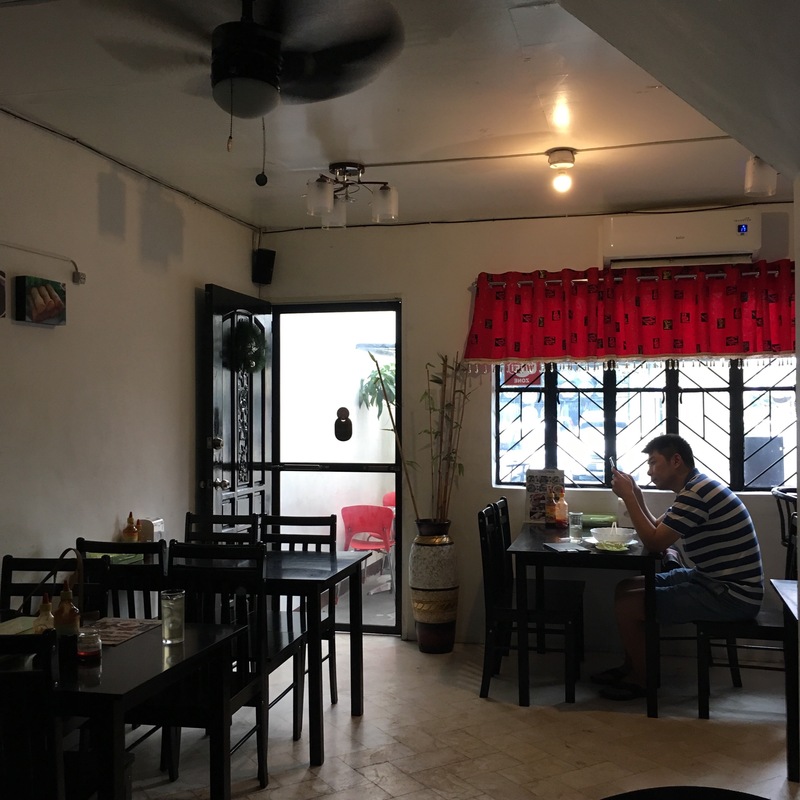 They also have other items to choose from as well like soups, salads, appetizers, Filipino breakfast favorites, Continental breakfast favorites, rice bowls, pasta, omelettes, sandwiches, and steaks. They have a pretty loaded menu and items are affordable. Í had the Breakfast of Champions plate that has waffles, bacon, potatoes and scrambled eggs. It costs 195php. Look and taste considered, there’s nothing special about it. Not sure why it’s even a Chef’s Recommendation. What taste would I expect from those dishes that aren’t even recommended? The only thing I liked from this plate was the potatoes and it wasn’t even that good. I might come back to try their Breakfast Ramen because that seems interesting, or have some Southern Fried Chicken maybe. I’m just sure I’ll skip the waffles. Wickedly ironic, isn’t it? Their other branches are in Tagaytay, SM Manila, McKinley Hill, Better Living and Eastwood Cyber Mall. Anyway, enough of my kakornihan! (Yeah right) One chilly Saturday afternoon that I was walking to Suzu Kin for some Nabiyaki Soba, I saw this fairly new Vietnamese resto sa may kanto and thought of satisfying my craving for some hot noodle soup here instead. 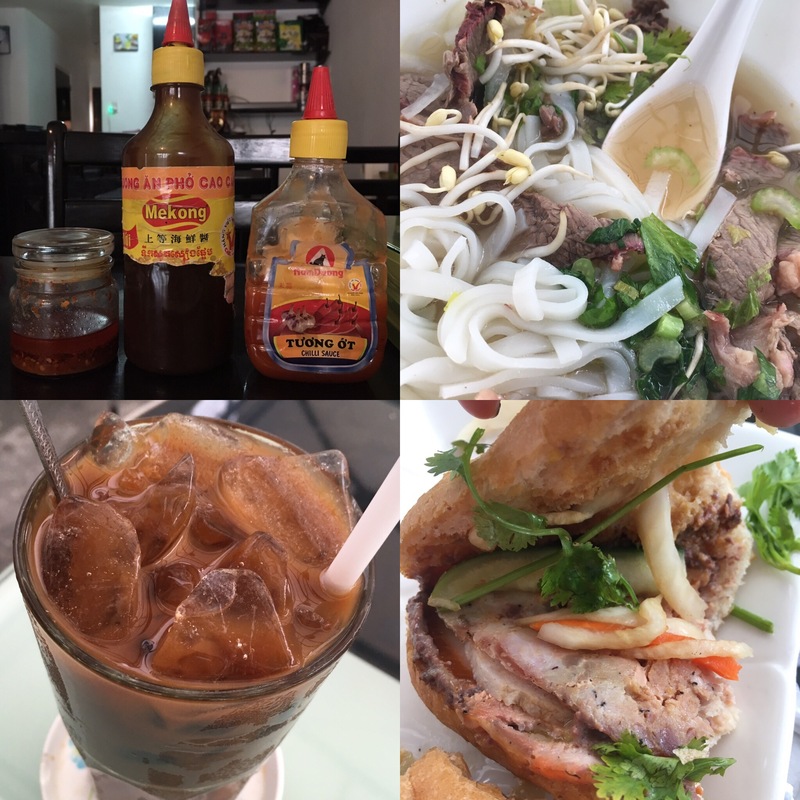 Vina Trang sells the usual Vietnamese favorites pho (pronounced as FUH), bahnmi, and iced coffee. They’re open from 9am to 11pm daily. And they have free wi-fi. 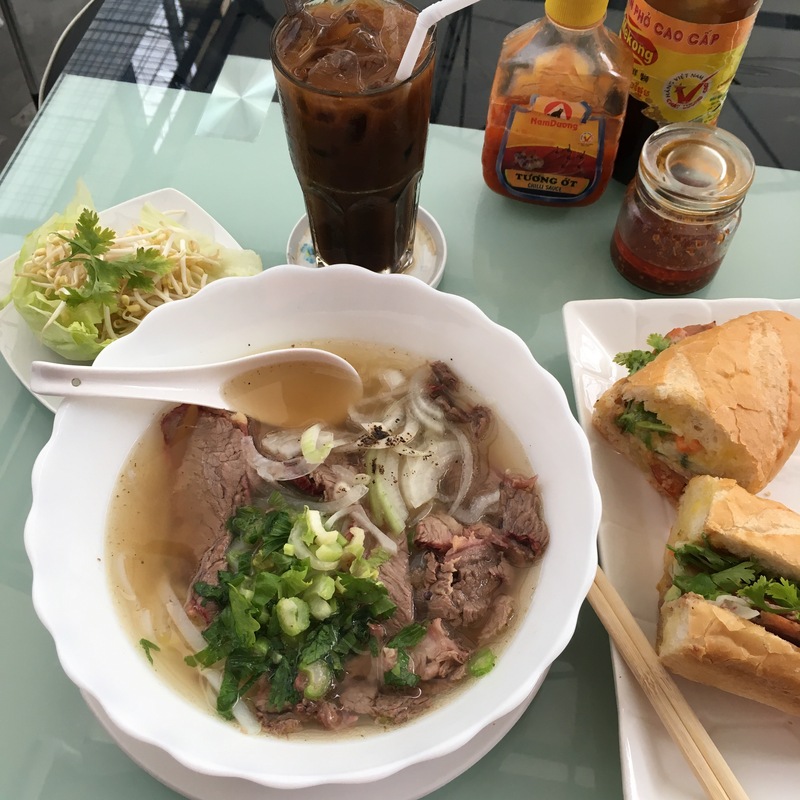 I ordered a Well Done Flank Brisket Pho (the bestseller), a traditional bahnmi, and iced coffee. I wanted the grilled fish sandwich but it wasn’t available. The leche flan wasn’t available either. 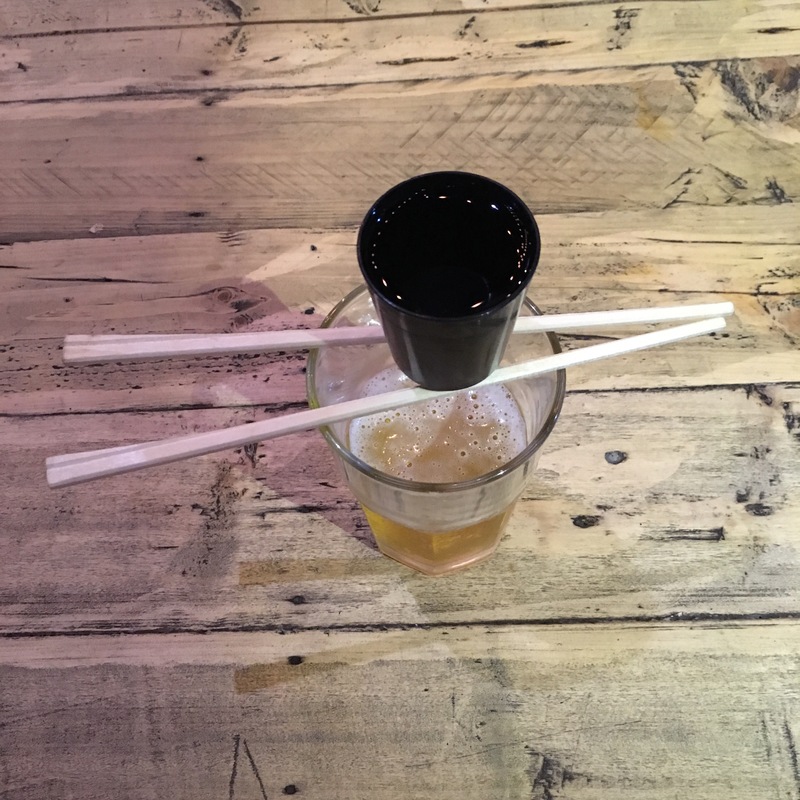 I wonder if they made any Vietnamese twist to the flan. 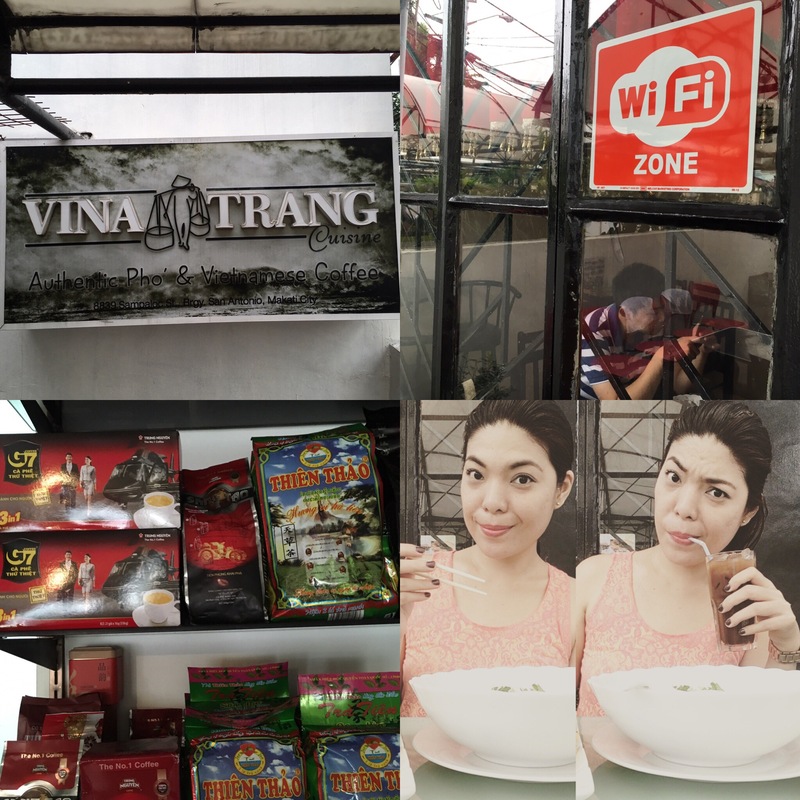 Vina Trang also sells coffee, noodles and condiments. I make a mean Vietnamese iced latte. Will share the steps when I get around buying the ingredients. I have to go back to try their spring rolls and rice meals. I also need to ask what Vina Trang means! I know that “trang” means pure or purity in Vietnamese but I’m still phocking clueless (stop na talaga ako!!!) about what “vina” translates to! 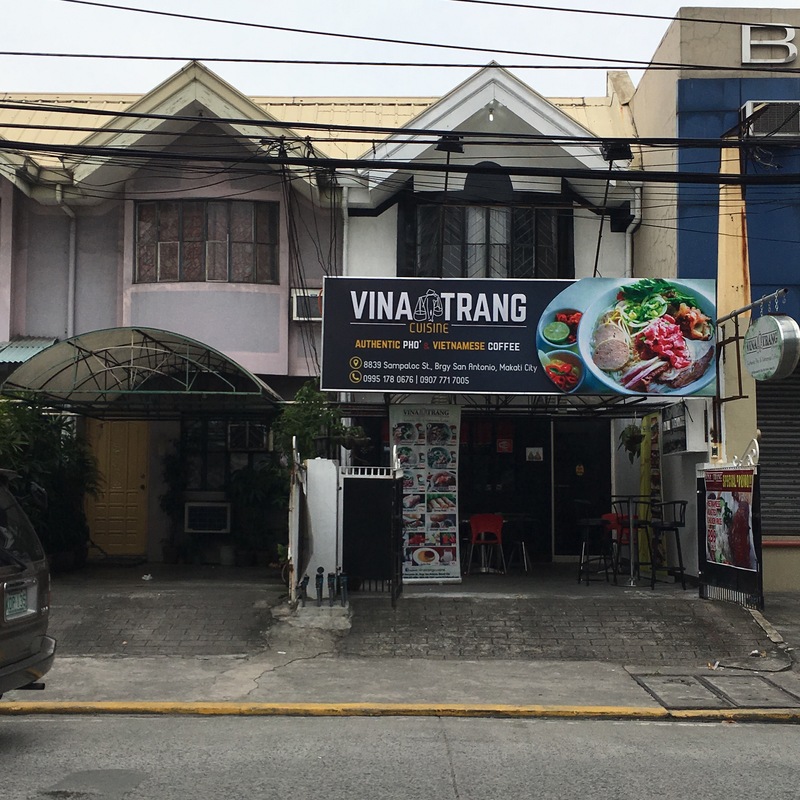 8839 Sampaloc St. Cor. Estrella St.